Craig Newmark the founder of Craigslist who is reportedly worth $1.31 billion gave a Google Talk at Google the other day. Craig is one of the good buys and he spoke about his non profit and his philanthropy efforts at Google the other day. Louis Gray from Google posted the photo on Instagram. 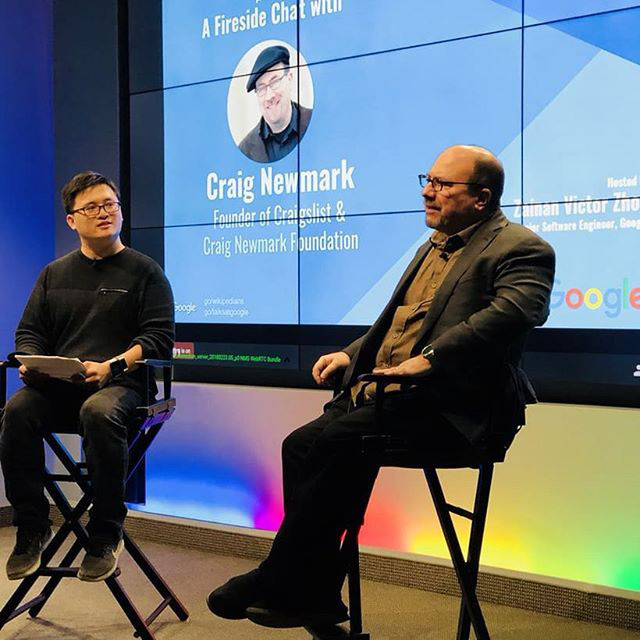 He wrote "fun to see @craignewmark of Craig's List and many philanthropic enterprises join us at Google and talk about his history with one of the worlds most important early web services. Photo by @jasonogrady."